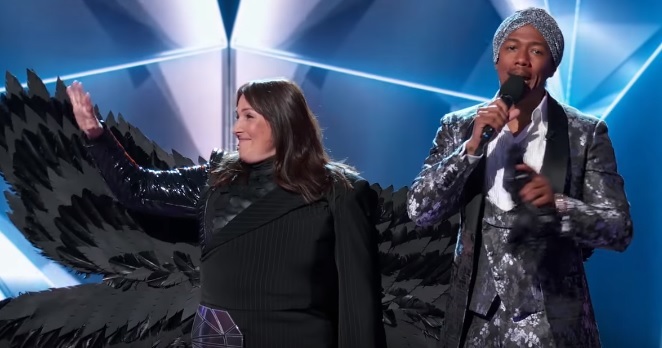 It turns out that many viewers were right when it comes to their guess about the identity of the Raven in the Fox reality singing competition “The Masked Singer.” The contestant was unmasked on episode 6 titled “Touchy Feely Clues,” which aired on February 6, 2019. The Raven, the Bee, the Peacock and the Monster competed on “Touchy Feely Clues.” In their group number, they performed “I Gotta Feeling” by The Black Eyed Peas. During the solo performances, the Raven sang “Brave” by Sara Bareilles. Indie pop group Fun guitarist-drummer Jack Antonoff co-wrote the song with Bareilles and was released as the lead single of “The Blessed Unrest,” the fourth studio album of the latter. In the end, the Raven got the lowest number of votes. With host Nick Cannon by her side, she unmasked herself and as many viewers have guessed, she is Ricki Lake. Born on September 21, 1968 in Hastings-on-Hudson, New York, United States to Jewish parents, Lake attended Ithaca for one year. She was raised by her paternal grandmother Sylvia Lake, who passed away in 1978. When Ricki was 24, she hosted her first daytime talk show “The Ricki Lake Show,” making her the youngest daytime talk show host at the time. In 2013, the record was broken by Filipino child actress Ryzza Mae Dizon who hosted a daytime talk show when she was 8 years old. Also in 2013, Ricki won the Outstanding Talk Show Host award at the Daytime Emmy Awards. She was nominated in the same category in 1994 but did not win. Ricki married Rob Susman in 1994 but they divorced in 2004. The former then married Christian Evans in 2012 but they divorced in 2015. Evans died on February 11, 2017. Throughout his life, he struggled with bipolar disorder.